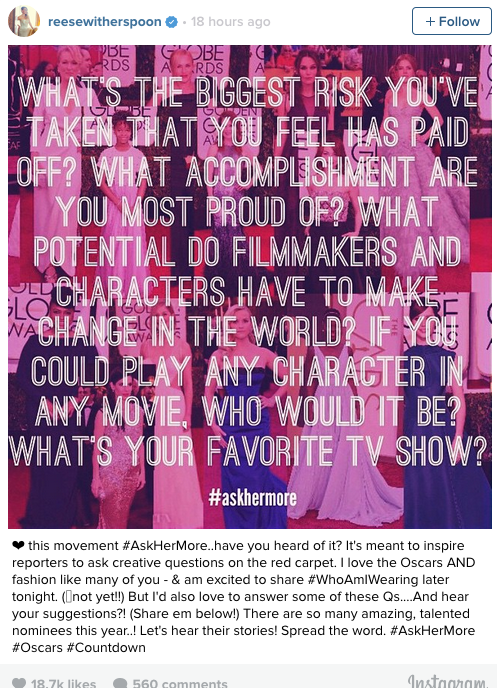 Celebrities are joining the #AskHerMore campaign in hopes of getting red carpet anchors to ask female celebrities more questions about their work, and not just about what they are wearing. 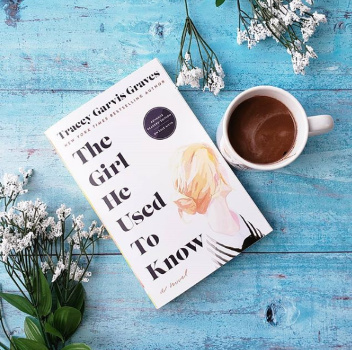 It all started wtih one Instagram post by Reese Witherspoon during the Oscars red carpet the other night when she posted an image on Twitter with these words: #AskHerMore. What’s the biggest risk you’ve taken that you feel has paid off? 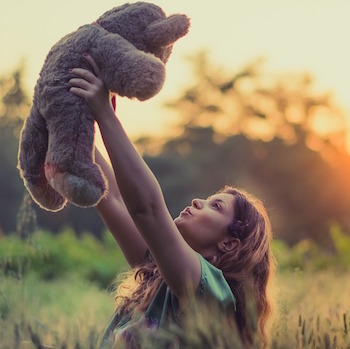 What accomplishment are you most proud of? What potential do filmmakers and characters have to make change in the world? If you could play any character in the any move, who would it be? What’s your favorite TV show? The campaign was started in 2014 by the equality organization The Representation Project. Objections have included a protest by actresses of E! Entertainment's "Mani-Cam" feature, which was left out of this year's Oscars. This is a movement to say we’re more than just our dresses. There are 44 nominees this year that are women and we are so happy to be here and talk about the work that we’ve done. It’s hard being a woman in Hollywood, or any industry. What did you think about the #AskHerMore campaign?